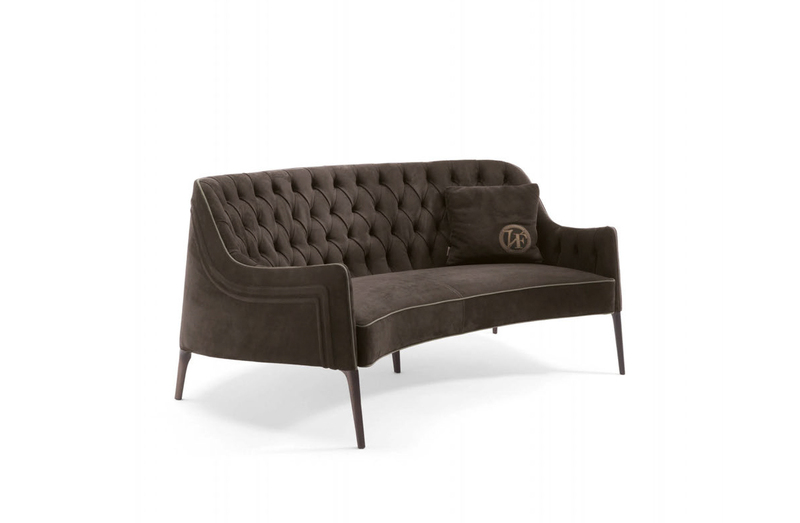 Sofa with tufted back, legs in dark stained walnut wood. Contrast detail stitching in leather. Available fabric, leather or COM. 75" x 47.25" x 33"H/17" seat height.